In early December 2011 the Commission will adopt the proposal for a regulation on the future LIFE programme. The European Commission has proposed a new legislation to significantly enhance the monitoring and reporting of GHG emissions, in particular to meet new requirements arising from the package of EU climate and energy laws for the period 2013-2020. The 17th Conference of the Parties (COP17) to the United Nations Framework Convention on Climate Change (UNFCCC) and the 7th Session of the Conference of the Parties serving as the meeting of the parties (CMP7) to the Kyoto Protocol, will be held in the sunny city of Durban, South Africa. The purpose of the conference is to initiate a debate on the role and importance of physical planning to protect biodiversity as a tool for coordinating and integrating interdisciplinary policies in order to improve the effectiveness of biodiversity protection. Experience and best practices from European Union member states will be presented, enabling an assessment of biodiversity as a decision-making booster in the field of habitat and species protection within and beyond the Natura 2000 areas network. The European Commission has published its annual report on the EU's progress towards meeting its Kyoto Protocol* target for reducing greenhouse gas emissions. The European Commission set out a 'roadmap' aimed at transforming Europe's economy into a sustainable one by 2050. The Roadmap to a resource-efficient Europe outlines how we can achieve the resource efficient growth which is essential for our future wellbeing and prosperity. The newly launched Fast-start Finance (FSF) module of the Finance Portal for Climate Change now presents the first reports submitted by developed country Parties containing information on the resources they provided so far in relation to their FSF commitments. The module also contains presentations given by some developed country Parties during an information event on FSF during the second part of the 14th Session of the AWG-LCA in Bonn in June 2011. Apart from this, the module also contains further useful links on the issue of FSF. 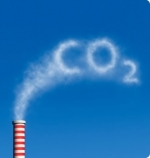 The European Commission launched a public consultation on strengthening EU measures to reduce emissions of fluorinated gases, a group of industrial gases which are extremely powerful contributors to global warming.